As we live in a house with activity room, bedroom, dining room. 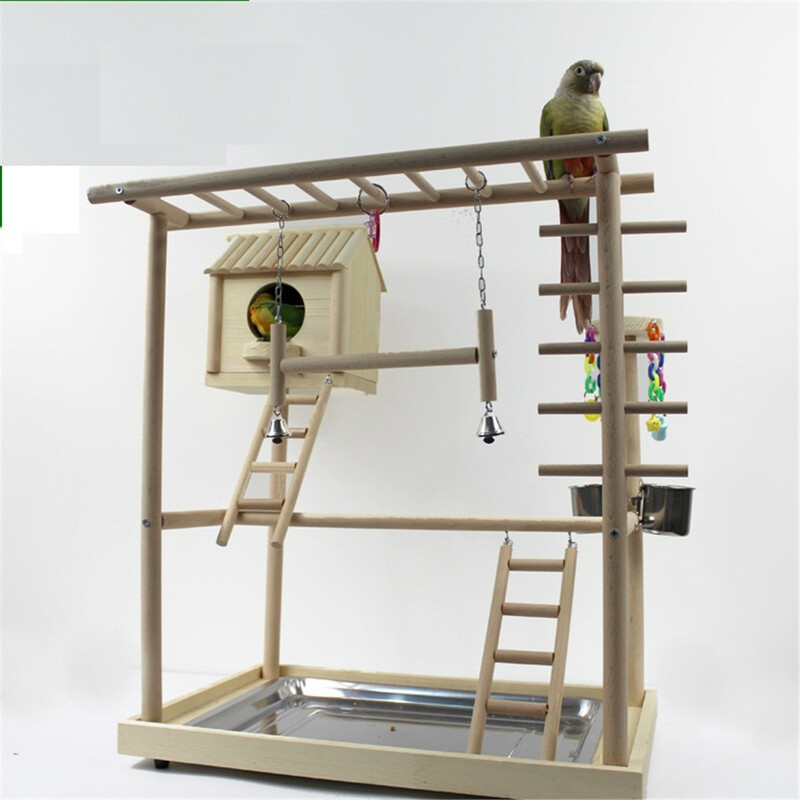 It's so perfect, so comfortable.But usually our pet bird room is just one bed room.Our new bird room, with bedroom, activity room and dining room, would you like to buy one for your pet bird? The material of the wooden bird home is solid wood,there is no painting and no printing. 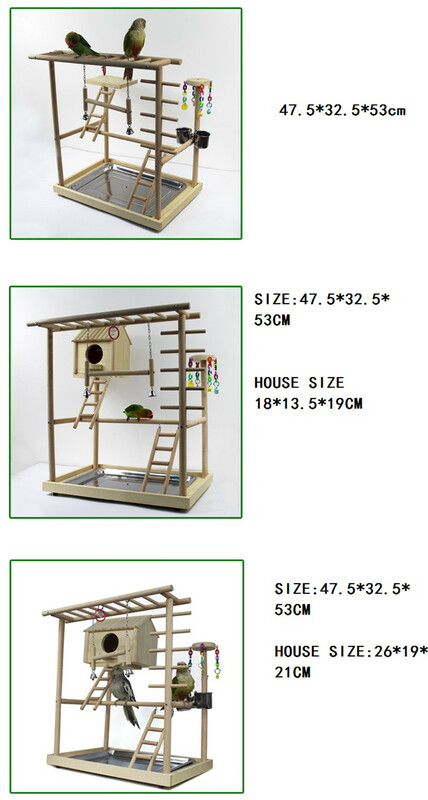 There are different house size,18*13.5*19cm 26*19*21cm and so on.You can choose according to the size of your pet bird and, of course, we accept bookings of any size. The uneven roof and round roof, together with the semicircular gate platform, add a classic aesthetic design to the whole bird house. Exercise is good for healthy,of course,perfect house need have a activity room. There is a swing in the activity room, and when the bird swings, the bells on both sides will ring out, which will bring good mood to the bird. Two wooden staircases, one leading to the bird house and the other over a wooden bridge. It helps the birds to exercise and balance their feet. There are also vertical and horizontal steps to help the birds improve their eyesight and bounce. There are two bowls, one for water and one for water. Looking for ideal Wooden Bird House With Dinnding Room Manufacturer & supplier ? We have a wide selection at great prices to help you get creative. All the Easy Clean Wooden Bird House are quality guaranteed. 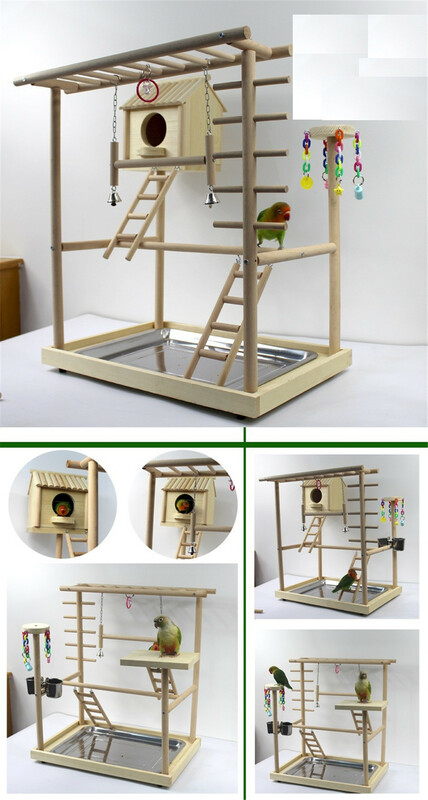 We are China Origin Factory of Wooden Bird Home With Toilet. If you have any question, please feel free to contact us.